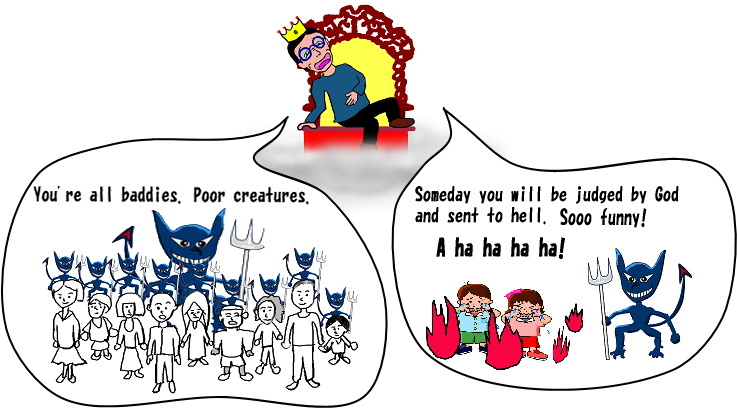 What he needs to do is to scorn the people and to wish that they will go to hell someday. Then all you need is to look down on bad ones. You see? Not only you can scorn people, but also you can express your hatred. This is not about any religion but about the psychology of hatred. The writer makes no assertion at all about hell, God or final judgment either.